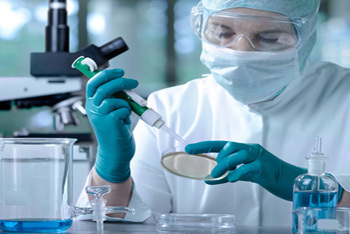 Framework Solutions created the current Bio-Repository database system in 2006 for JWCI, and then in 2013 completed the clinical research module, incorporating treatment history tracking for thousands of patients treated at Saint John's hospital in Santa Monica, CA, over the past four decades. For the Cancer research departments at JWCI the net result is being able to query this vast specimen tracking database by clinical patient criteria, identify lists of patients based on these results, and then to link those patients to specimens in the repository. The system uses Microsoft SQL Server as the database engine, with both a live transactional database and also a data warehouse for reporting and analytics. The User Interface was developed on top of our framework technology stack, with sophisticated security and master dictionary components for secure integration with external systems. Our role based security system guides users through their respective workflows, such as specimen receiving, whilst ensuring full HIPAA compliance throughout. The software allows browser-based users to aliquot vials into child-aliquots and log an extensive range of processing and assay testing activities. All specimen receipts are carefully associated with consented patients, and built-in auditing keeps track of everything. The exciting new clinical module includes a revolutionary event tracking design, that will keep a full history of disease progression for patients over time. Incoming specimens are logged using the receiving screen which is fully integrated with patient enrollment and consent subsystems to ensure proper IRB compliance. Upon a receipt, the specimen containers are automatically routed to the appropriate facilities for testing or storage based on the IRB approved protocol schedule. Each individual container’s location is tracked using a flexible freezer location configuration and a 2D barcode label. From the withdraw screen users are able to use a variety of search criteria to identify specimens located in the repository and each search result is automatically saved for easy retrieval at a later point in time. Once the specimens are identified we can perform actions on them such as thawing, moving them to different facilities, entering assay test results and performing specimen aliquoting. Each of these actions performed on a specimen are logged as part of that container’s “touch” history. In addition to performing common tasks of thawing, moving and freezing specimens, users also have the ability to aliquot. A given specimen can be split into two parts, by specifying the child specimen’s volume and the location where the new child specimen will be stored or sent. The newly created child specimen aliquot inherits the full history of all actions performed on the parent specimen sample. 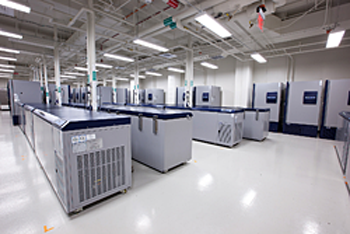 Read about our recent deployment of the Providence bio-repository system for Disney Cancer Center here. Read the Providence Health and Services press release about the JWCI bio-repository system here.